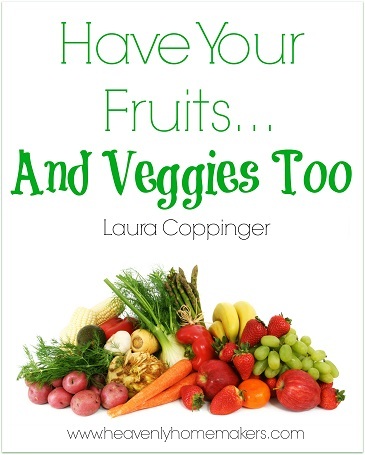 Be inspired to eat more fruits and veggies with this helpful e-book! Learn new ideas for serving fruits and vegetables, and read helpful tips for purchasing great produce. This ebook has 26 pages filled with fruit and veggie help and advice, as well as many great recipes and ideas for new ways to eat enough servings each day! My son is graduating in May. I am looking for ideas and recipes for making food to serve a large number of people healthy at a low cost. We have a large extended family that will all want to come. Also, anything that I can do ahead to keep stress down and enjoy his day more is always appreciated. I want a nice spread without hurting the budget, any ideas? Sloppy Joes or a Nacho bar are always good ideas! For a very inexpensive idea, you could made brown rice, black beans and have a nice spread with lots of add ins to go in with these (corn, salsa, sour cream, olives, tomatoes, onions…) We call these “bean and rice bowls”.